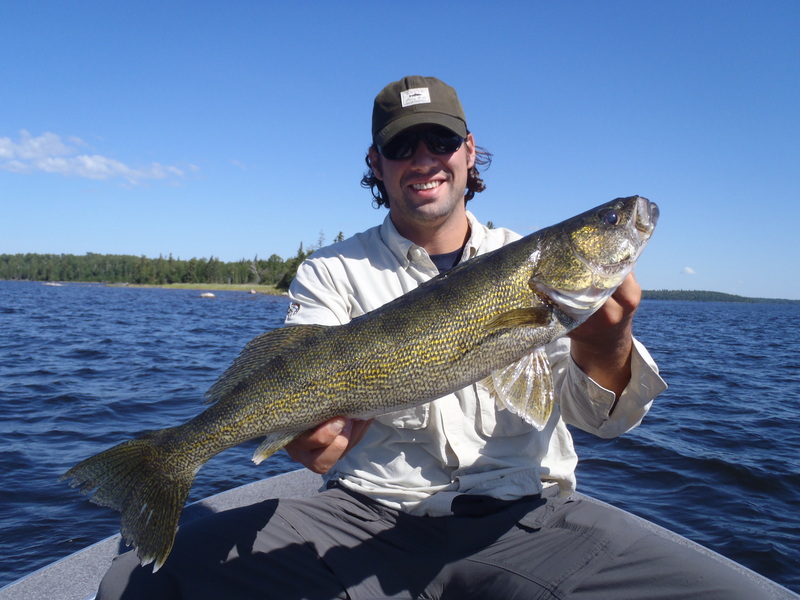 It was another awesome walleye week in the south central basins of Lac Seul. 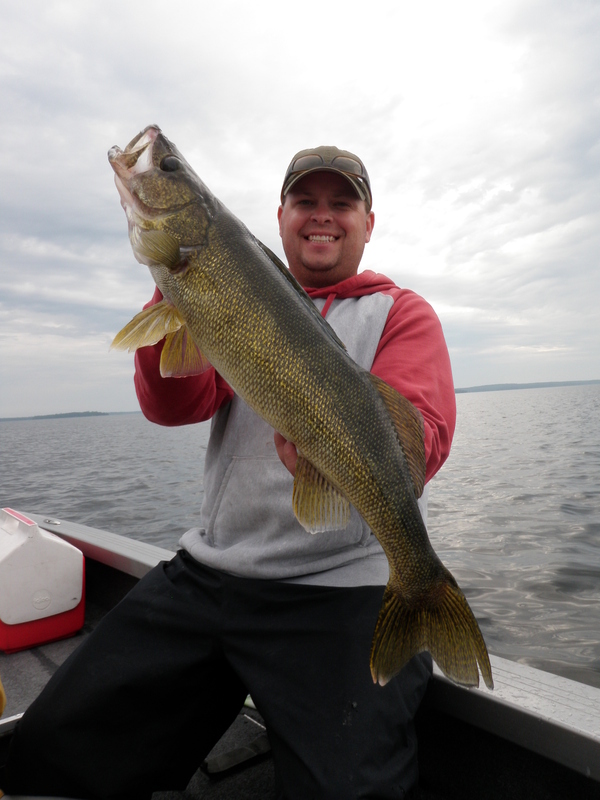 We boated big walleyes, we enjoyed high volume, and we caught an unbelievable number of walleyes between 23 – 26 in. 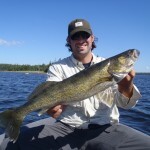 It is great to see one really big fish for a group of anglers, but even better to have the one or two really big fish combined with every angler catching multiple 23 – 26 in. 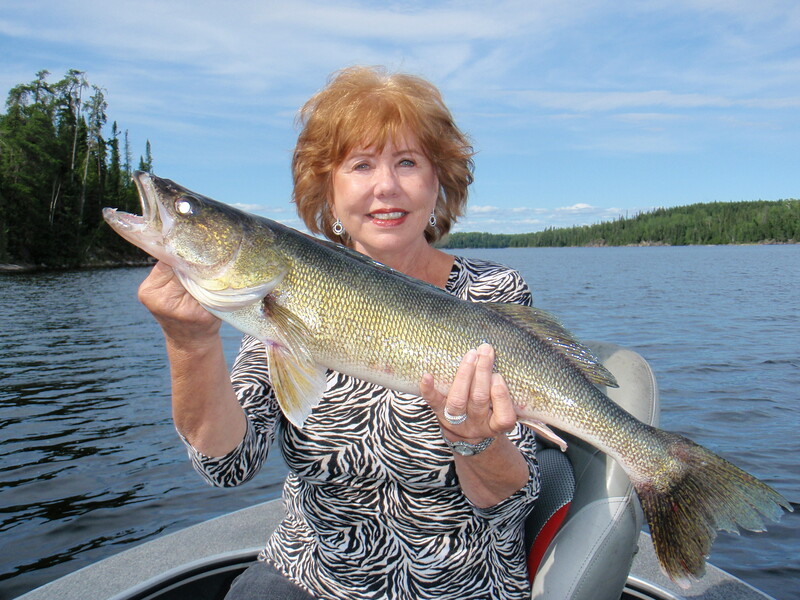 walleyes. 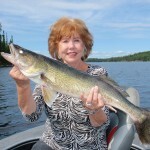 Everyone I checked out this week was thrilled with their walleye production. 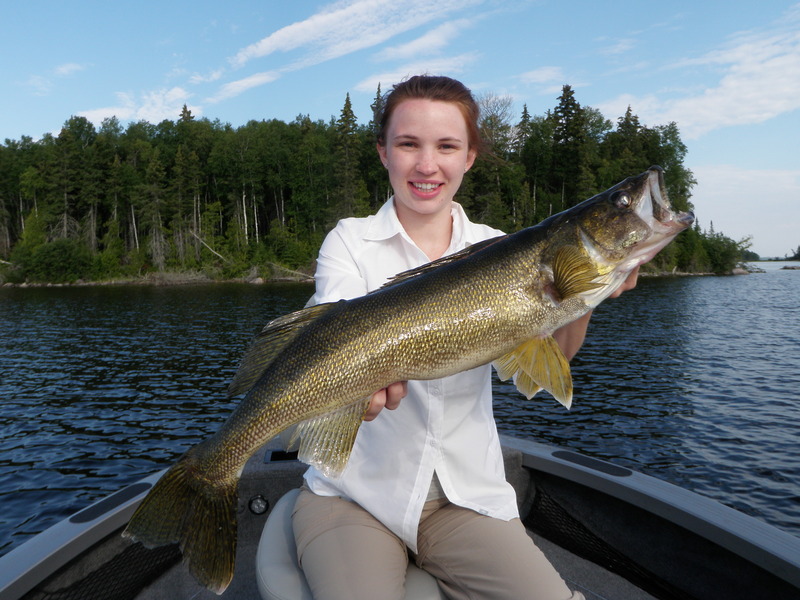 For the week, we caught and released 52 walleyes over 27 in., including 7 – 28s, 2 – 29s, and 1 – 30.5. 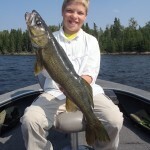 Volume was excellent with guide sheet averaging more than 40 walleyes over 18 in. per boat per day. The highest daily total was 76. When you factor in 1 or 2 days with 6 – 9 guides on the water compared to the average of 10 -12, then this week’s production was even better than last week. 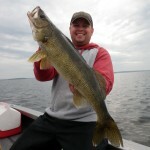 We did continue to use a 2 speed approach to hunting walleyes this week, and by percentage there were a few more walleyes caught with lighter jigs and live bait than last week, but the big plastic Gulp Alive bite was still very strong again this week. Both 29s and the 30 were caught on Gulp trolled at speed. The key depth zones have shifted just a bit deeper with most production coming from 20 – 30 ft. Most guides are selecting the ½ oz. Offshore Angler long shank jigs with 5 in. jerk shads or Gulp Alive Crazy legs Jerk shads. 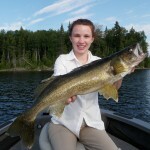 When the bite slowed, we fished both minnows and leeches on ¼ and occasionally 1/8 oz. jigs for really stubborn “big arcs.” The live bait was definitely the key when the wind died in the afternoon and the bite slowed. The other side effect of the Berkley Gulp Alive bite is that we continued to be successful in areas that historically have not been that productive. 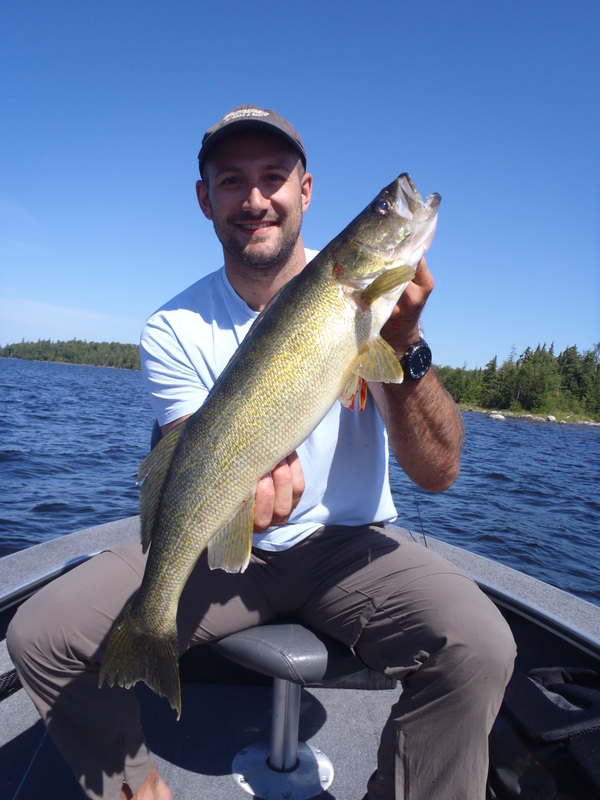 When you can cover water quickly, you can still be successful, even in areas where fish concentration isn’t that high. 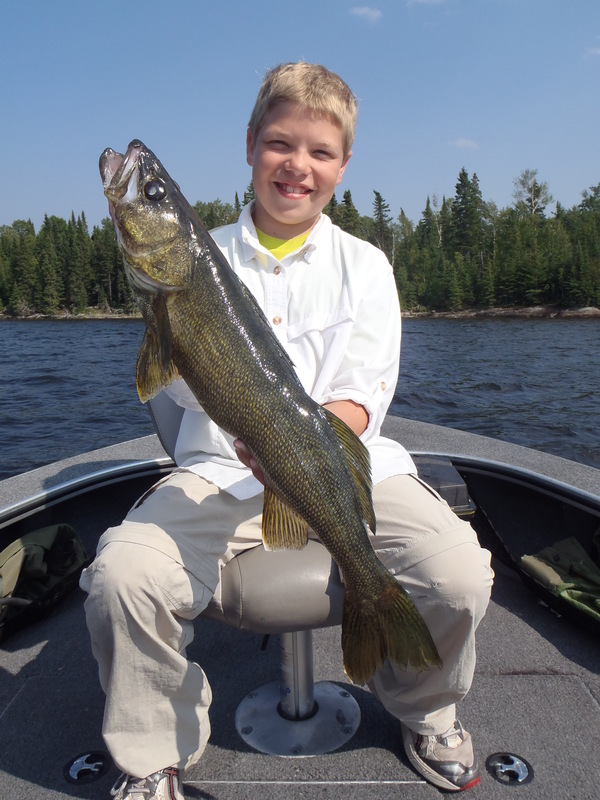 What we have found is that some of these lower volume areas are still holding numbers of large individual walleyes. The key factor present in almost every one of these spots is the immediate proximity of deep water. 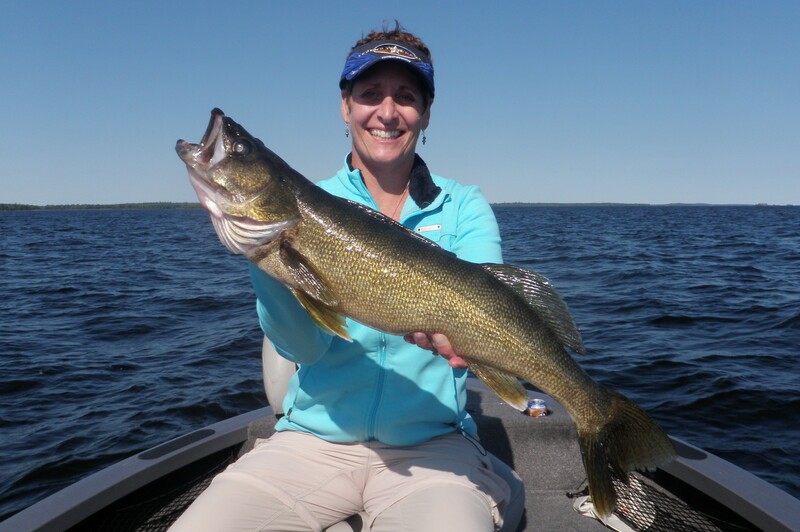 When you mark walleyes in 20 – 30 ft. of water and the location is within 50 yds of a 75 – 100 ft. basin, it is time to start dragging big plastic and searching for giants. 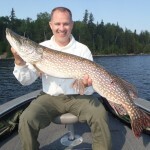 Effort spent chasing big pike was very limited this week, but we did see one 41.5 in. gator. 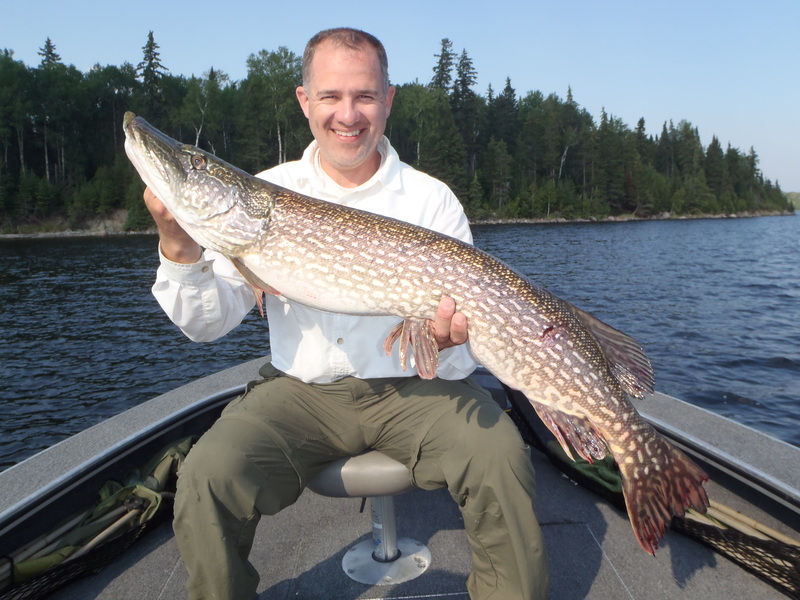 When the weather breaks and surface temps begin to cool, there will be more effort spent chasing big pike, but this is absolutely prime time for numbers of big walleyes and the guides will lobby guests hard to continue to hunt them instead of pike.